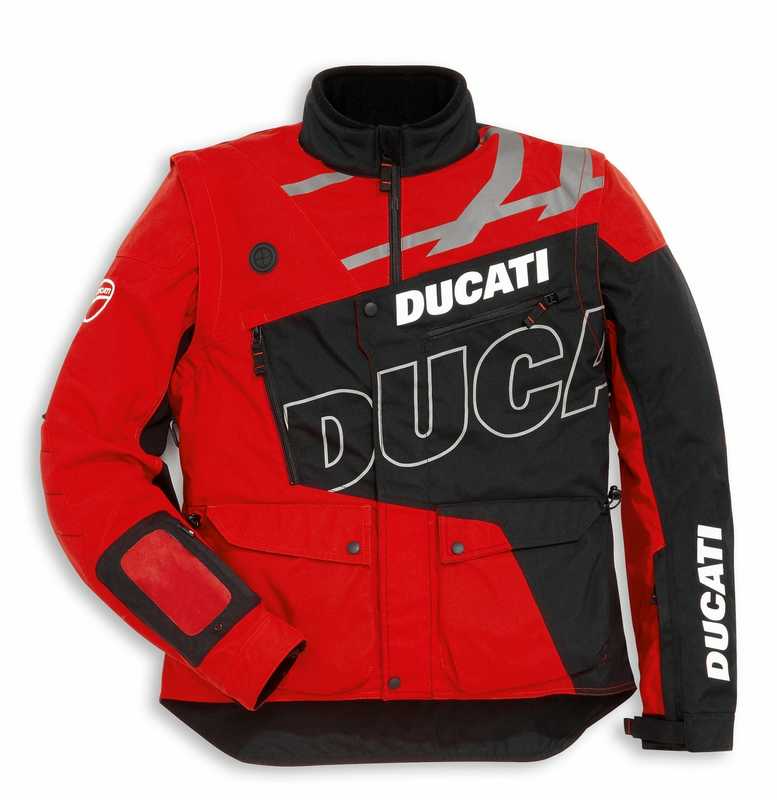 The Enduro fabric jacket, developed in collaboration with Scott, is specially created for the biker who aim to the adventure, both on the road and off the beaten track. 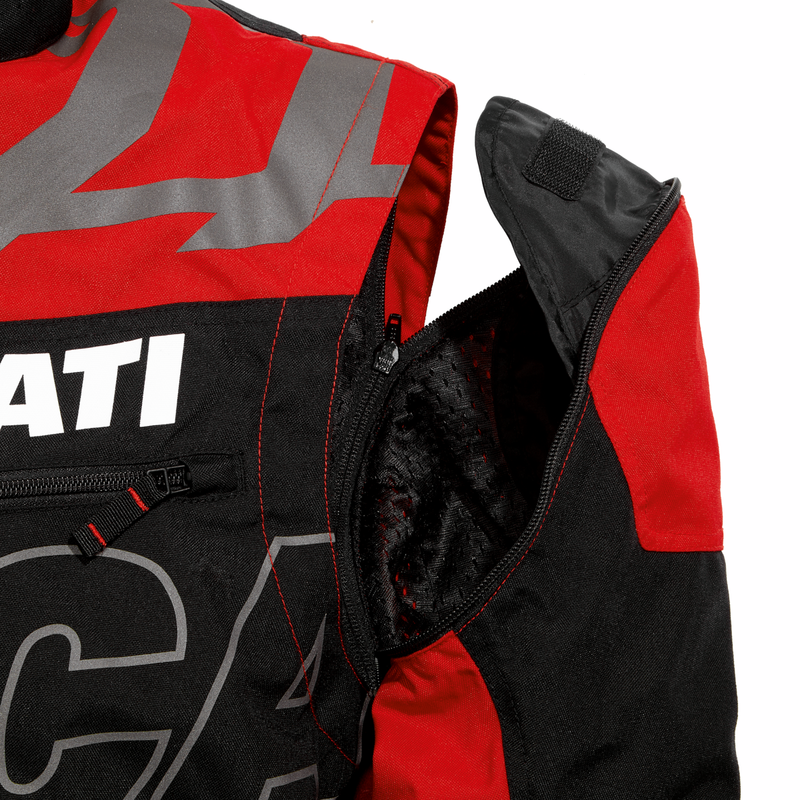 The jacket, with removable sleeves and an efficient system of air vents, should be used with a vest equipped with protectors. The fabric with water repellent finish, the numerous volume adjustment options and the many functional pockets contribute to the performance of this garment, with a design typical of the Adventure world. Supreme outfit with the coordinated trousers and in complete harmony with the Multistrada 1200 Enduro. To be matched with Enduro bodyguard (98103490_) equipped with shoulder, elbow, back and chest protectors. 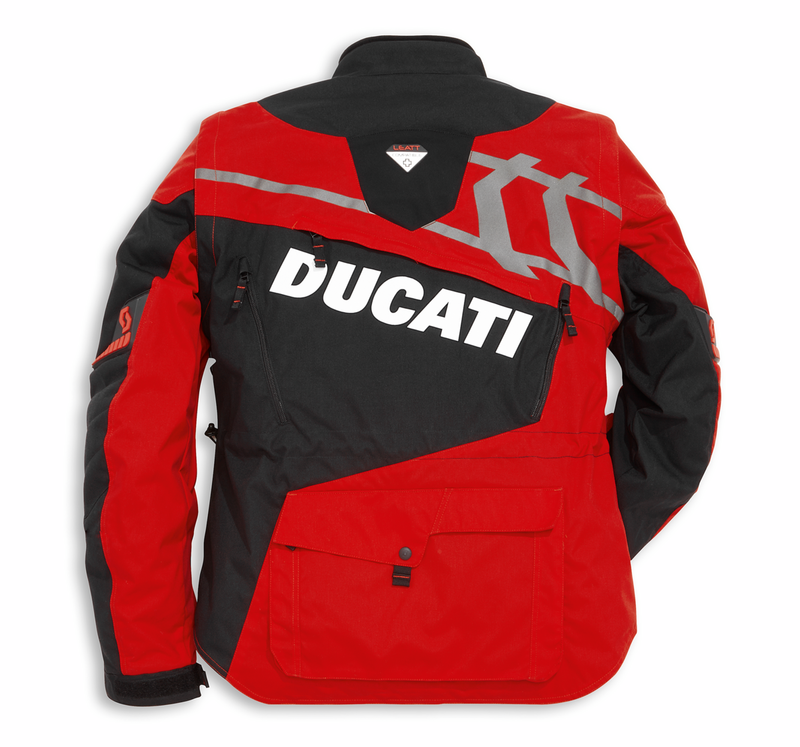 This jacket is not equipped with protectors and it has not internal protector pockets on shoulders, elbows and back.